Located in Southern Europe, Italy is one of the most popular travel destinations. Some come in search of fine arts while another comes to enjoy the wonderful cuisines. Besides, Italy has some extraordinary landscapes, historical sites, and beaches. Italy is not a perfect country. Most of its historical sites have been marred by development, but many of the old clichés still ring true. It has an enormous cultural legacy. Italy offers so much to its visitors that it would take a lifetime to explore. To help you plan your dream trip, we have rounded ten of the most beautiful places that you must visit in Italy. 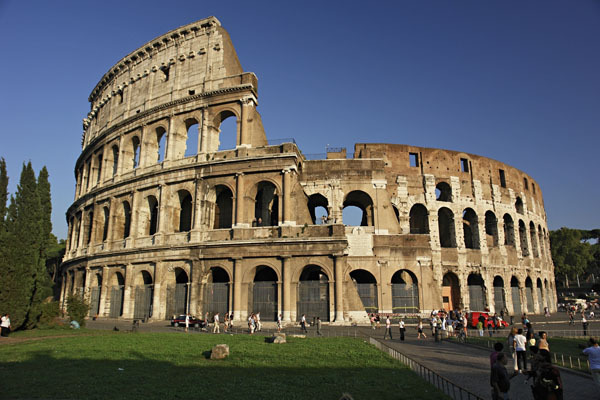 Rome, also known as the Eternal City, is the government seat and capital of Italy. It is located in the country’s central region of Lazio. This vast and complex city is both modern and historic at the same time. Rome is full of history. 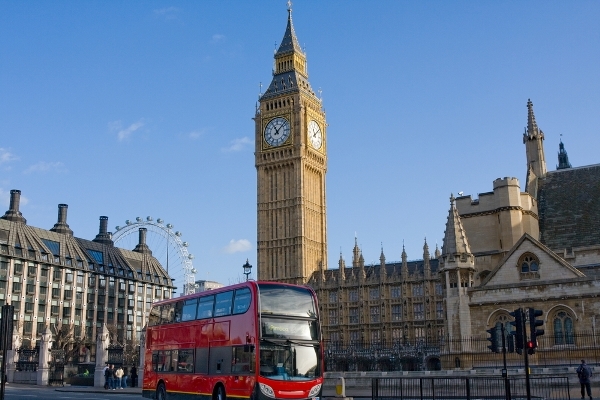 You will find medieval churches, ancient monuments, Renaissance palaces and beautiful museums everywhere. Food and wine are central to a Roman’s social life. Rome has hundreds of pizzeria, restaurants and gelaterias to offer to its visitor. Make sure you try out the delicious wood-fired pizza at a pizzeria. Saint Peter’s Square and Vatican City are a must visit when in Rome. 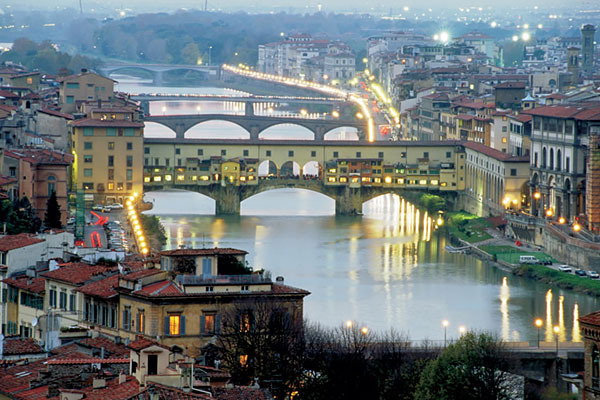 Florence, also known as the“cradle of the Renaissance” is the capital of Tuscany. It is described as a colossal outdoor museum because of its art and architectural treasures. In Florence, beauty can sneak upon a traveler unexpectedly. Walk into a random church to witness the pure blue fresco. If you want to witness world best art masterpieces, then head to the Uffizi and Pitti Palace, the most famous art galleries of Florence. Do not miss the sunset over the Arno. You can also sip in the famous wines of the Chianti region in Florence. There are also several gardens and Medici palaces in Tuscany that you cannot afford to miss. 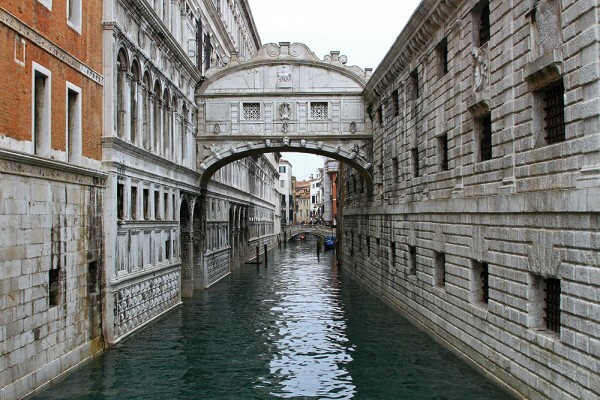 Venice is not just Italy’s, but also one of the most alluring cities in the world. This unique city is built on a lagoon that is surrounded by the Adriatic Sea. It is an archipelago of 118 islands, connected by hundreds of beautiful bridges and canals. Grand Canal is the most famous canal in the city as it divides the city into two sections. When in Venice, take a moonlit gondola ride or relax in Piazza San Marco. There are also several palaces, churches and museums in the city. No matter where you head to, you will find the history, romance, and beauty. If you are a shopping freak, then do not forget to visit Rialto. 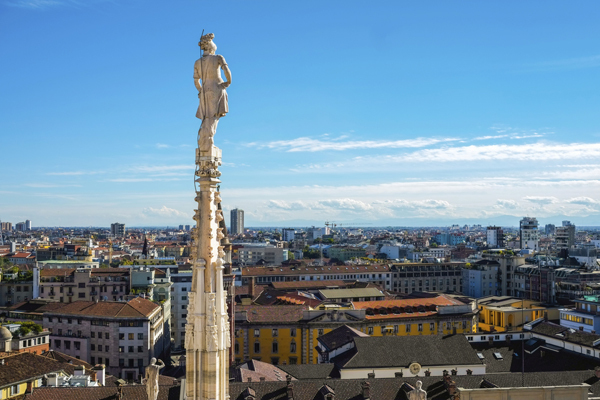 Milan, one of the most popular Italian cities, was one nearly destroyed by heavy bombing during the WW2. It has now reconstructed itself and is now one of the wealthiest cities in the world. It is the Italian center of commerce, finance, and fashion industry. It has stylish boutiques, galleries and restaurants to offer to its tourists. 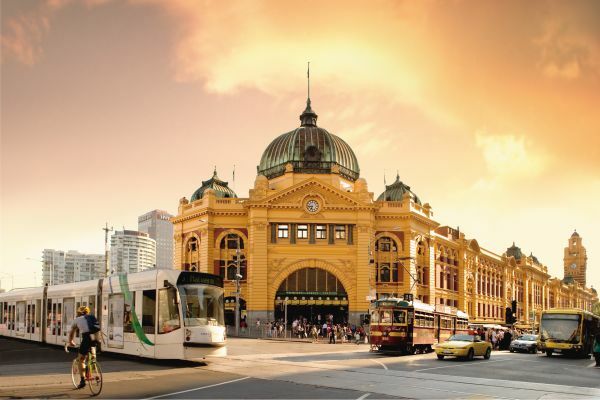 This fast-paced city also has a rich, cultural heritage. If you are looking for leather goods, then head to Brera. You can visit Via Monte Napoleone for other goods. The enchanting interiors of the Galleria Vittorio Emanuele II will make the shoppers feel that they are wandering inside a painting museum. La Scala is one of the most beautiful and famous opera houses. Rimini is the capital city of the Province of Rimini with almost 146,606 inhabitants. It is the biggest beach resort in Italy. It is referred to as the capital of Italian seaside nightlife and tourism. 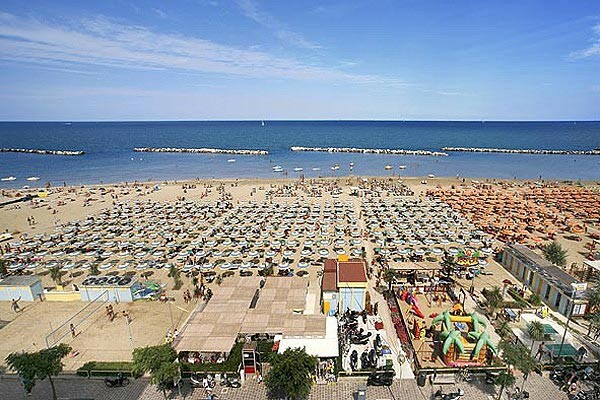 Rimini is located on the Adriatic Sea in the Emilia Romagna region. It is the most famous seaside resorts in Europe, with its 15 kilometers long, sandy beach and thousands of bars, restaurants and discos. The city offers interesting sights like the Arch of Augustus and Tiberius Bridge. There are several top rated hotels near the seaside like Hotel Corallo and Hotel Eliseo. Selva di Val Gardena is one of the leading ski resorts in the Alps. It is situated at an altitude of 1563 meters above the sea level. The place has around 2600 inhabitants. 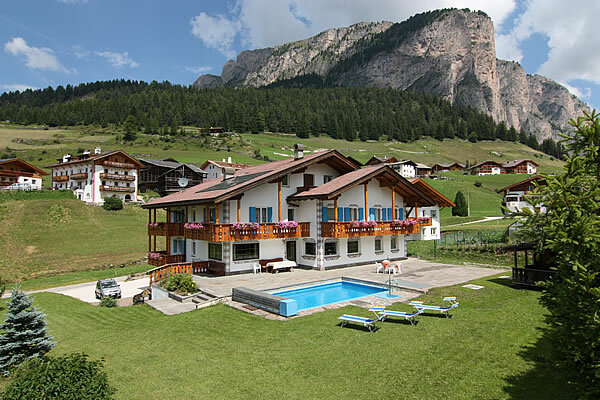 Selva in Val Gardena is surrounded by the mountains of the Sassolungo and Sella. 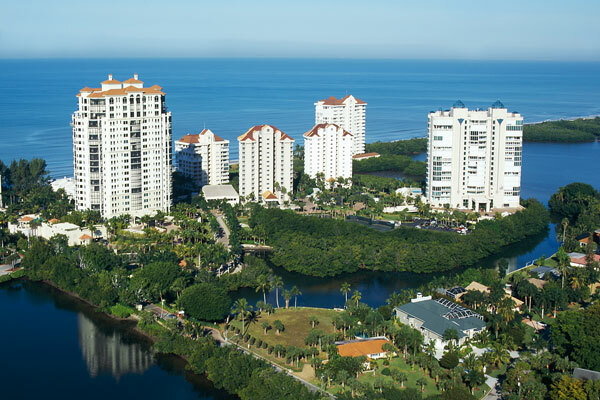 You can reside in a 4 or 5 star; family run hotel or a cozy, private apartment. You can do many activities like paragliding, walking or climbing the hills. Winter sports like skiing and snowboarding are the most popular activities here. In summer, Selva di Val Gardena impresses its visitors with the Dolomite summits, a UNESCO World Heritage Site. Selva di Val Gardena also offers mountain bike trails for both experts and beginners. Naples is the largest city in Southern Italy. It is a must visit place for every history, culinary, arts and political buff. It is at two-hour journey from the south of Rome. Naples has the world’s best opera and theater houses. Naples is also fondly called an open-air museum due to its historic statues and monuments. The museums of Naples boast of Europe’s finest art and archeology. You can join the other families to watch the sun set on the Bay of Naples. You can also visit the ruins of Pompeii and Herculaneum, which was destroyed by Mount Vesuvius in 79 A.D. Naples also serve the country’s best pizza, pastas, coffee and seafood delicacies. Montepulciano is a medieval town located in the southern Tuscany. It is built on the ridge of Monte Poliziano. 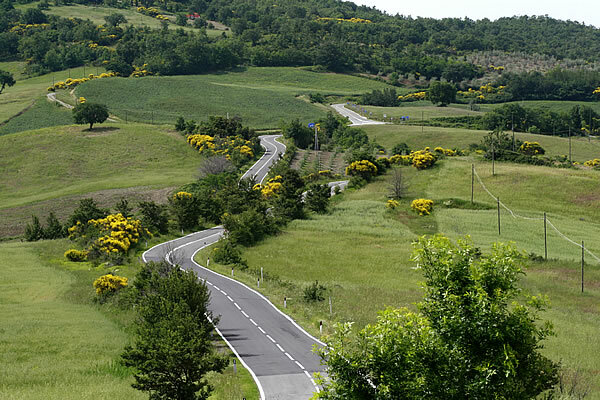 The strategic position of Montepulciano makes it a perfect place to explore the beautiful corner of Tuscany. The city is full of beautiful Renaissance palaces, charming squares, ancient churches and hidden corners. It also has beautiful rolling hills, vineyards cypress trees, and olive groves. The city is also famous for its wines- Brunello di Montalcino, Vernaccia di San Gimignano and Vino Nobile di Montepulciano. Tuscany also has offers hundreds of others tourist spots. 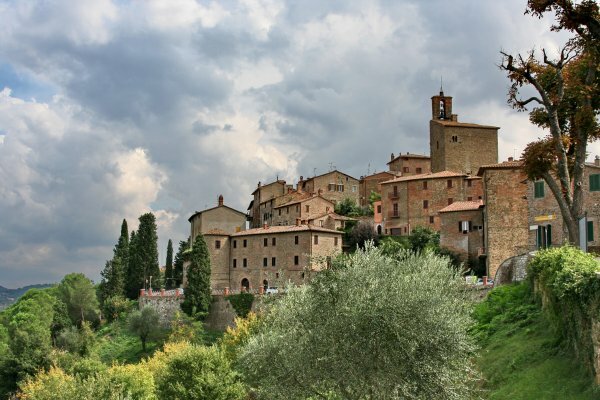 You can also visit Pienza, a charming thermal village of Bagno Vignoni. Val d’Orcia is a picturesque region located in Tuscany. The Valley is an example of how a natural setting was redesigned during the Renaissance. Its gentle, carefully-cultivated hills are occasionally broken by gullies. The place has amazing hamlets, castles, villages, and farmhouses. The landscape of Val d’Orcia is a part of the agricultural hinterland of Siena. The entire area is protected as a natural park. Some of the famous villages of Val d’Orcia are Montalcino and Radicofani. Montalcino village has a 14th-century fortress, which offers stunning views of the valley. The place also offers some world’s best wine. Sicily is the largest autonomous region of Italy and one of the most alluring holiday destinations. 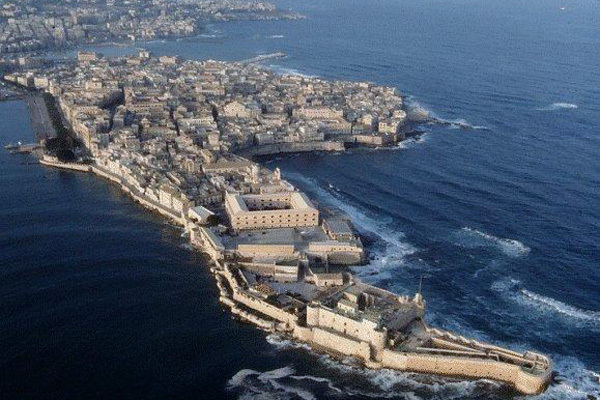 It is also the largest island in the Mediterranean Sea. The island is separated from the mainland region of the Straits of Messina. Sicily has a rich art and history. The most striking geological feature of Sicily is Mount Etna, the tallest active volcano in Europe. The juxtaposition of mountain, volcano and sea make a stunning backdrop for outdoor activities like swimming, hiking, climbing and diving. The varied landscapes of Sicily make a dramatic impression on the onlookers. You can easily switch between these places by train. Share with us about your trip to Italy in the comment section.